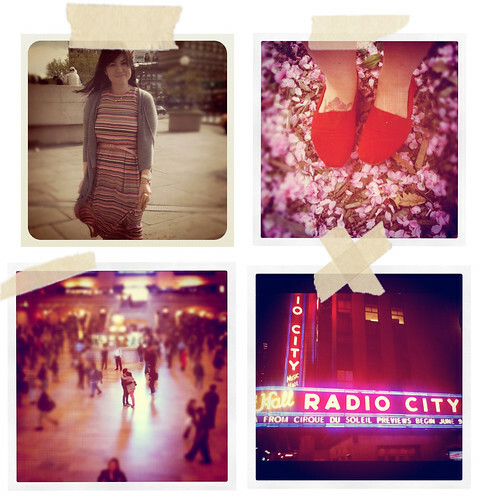 Here are a few more snapshots from our New York trip a couple weeks ago! The first is me in Hoboken, NJ in my vintage Kate Spade-esque sun dress. The second photo was taken under a cherry blossom tree in West Central Park. The third is Morgan and I pretending to be parting ways in Grand Central Station. And the last is of Radio City Music Hall!